I have been meaning to post these photos for several days but where does the time go? 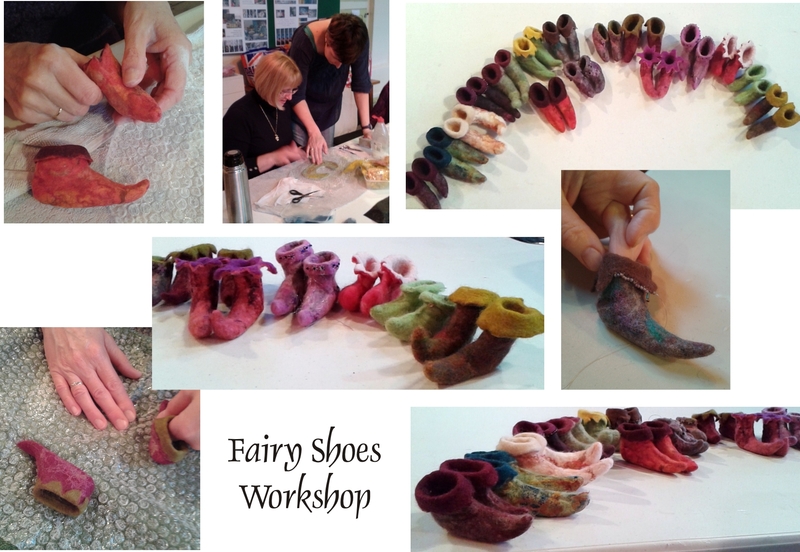 Last Saturday I met up with a group of other ladies at the Thomas Garrett Rooms in Heighington to take part in the ‘Fairy Shoes’ felting workshop run by Robyn Smith of Feltybits. Once again it was a great workshop with Robyn offering lots of encouragement and advice regarding wet felting, working with a resist and embellishing. The tiny shoes were created using Merino wool tops and decorated with seed beads. The finished items all turned out different in colour and style and looked particularly cute when lined up for the photos!